Digging up tar sands is an indisputably nasty way to extract dead dinosaurs from the ground. It’s more like mining for oil than drilling for it. The thick, tarry “bitumen” has to be scooped up and the sand, clay, trees, etc, on top of it has to be washed away. Immense amounts of hot water and, sometimes, chemical solvents are needed. And in the end, you’ve got a petroleum product that has a much larger carbon footprint than normal oil does. In light of that, the EU’s executive branch just voted to assign oil from tar sands a carbon pollution rating more than 25 percent higher than normal crude. If that rating sticks, it’ll mean that suppliers who want to sell that oil in Europe will have to pay to offset the extra pollution. And that, of course, means higher prices and less profit, making the economics of the whole enterprise less appealing. Right now, almost no Canadian tar sands oil is used in Europe. In fact, so far, nearly all of it goes to the U.S. But by identifying that oil as extra-dirty, Canadian officials fear, the EU could trigger a knock-on effect around the world. Well! You want to see some hacked-off Canucks! Canadian Resources Minister Joe Oliver fumed to Dow Jones Newswire that the “potential stigmatization” of Alberta’s petroleum riches was “unjustified.” He hinted that the Europeans were playing favorites for some unspecified nefarious motive. He threatened to take the matter to the World Trade Organization. The online Petroleum Economist quotes a Canadian petroleum industry group exec as saying carbon emission standards “should not be based on the principle of discrimination.” There are also dark mutterings about “trade wars” in the lead-up to the resumption of Canada-EU trade talks scheduled next month. 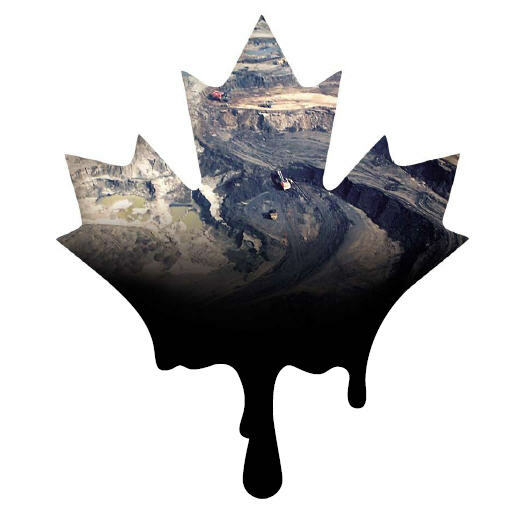 This is a very big deal for the Canadians because Alberta is the Saudi Arabia of tar sands. If getting oil by scraping up the earth and steaming the tar out of it becomes a mainstream way of accessing petroleum, Canada stands to make a lot of money (not to mention the global clout that comes from having the goods everybody wants). The Alberta tar sands are just getting cranked up to world-scale production levels. And the $7 billion XL Pipeline that TransCanada Corp is hoping to get permission to build down the middle of the U.S. is a major piece in that plan. The pipeline would carry oil (and solvents; tar sands oil is too thick to be pumped undiluted) from the Alberta tar sand fields to refineries in Texas. In fact, the irate Joe Oliver was in D.C. to lubricate the pipeline project when he heard the unwelcome news from Brussels. The nearly 2,000-mile-long pipeline is being bitterly resisted by climate activists who say approval by the US State Department would show that America is essentially throwing in the towel on climate change. And while the initial indications are that Obama administration officials are leaning toward green-lighting the project, the “dirty fuel” label could make approval a tad more awkward for the president. Meanwhile, it’s kinda fun seeing steam coming from the ears of the normally mild-mannered Canadians. And their efforts to cast this as a case of unfair “discrimination” are sort of silly, too. Oil from tar sands is dirtier and more environmentally-destructive than regular petroleum. It just is. Bitumen is a cruder form of the mineral deposit, and it takes more effort to make it presentable in public. One reason tar sands haven’t been widely developed till recently is that it was just too much trouble for the payback. Now that oil prices are high and certain to get higher in coming years, bitumen starts to look like a smart investment. Unfortunately, in the 21st Century, carbon emissions matter … a lot. And if we have any hope of keeping from baking the planet over the next couple of hundred years, we’re going to have to be willing to leave some of those dead dinosaurs in the ground and put our effort into getting energy from sources that are cleaner, renewable and sustainable. So, sorry, Canada … no hard feelings, eh? Certainly not! As a Canadian, I’m delighted with the European Commission’s “scarlet letter” – maybe it can help force our government to finally hear what they’ve refused to listen to, what so many of us ordinary Canadians have been trying to tell them for so long now: that we want the tar sands oil left in the ground. It’s not “Canada” that stands to make a lot of money from the tar sands – it’s some of our oil industry and bank execs. The rest of us in Canada will be the big losers in this deal, as the environmental and climate consequences play out over the coming decades. So no, no hard feelings at all – we can use all the help we can get to stop this insanity, thanks! This is 8 months late, but it’s very comforting to hear that here are people like you not only taking an interest but doing what they can about the “insanity”! Thank You! Eight months later, things are way worse in Canada. Our government is hell-bent on running a petro-state, with bottom line profit as the only concern – nature, environmental health and democratic rights are simply impediments to be tossed aside. The bill they are ramming through Parliament right now will change the face of our country for a very long time and in hastening even more climate change it will affect the entire planet. So we Canadians do need all the help we can get from the global community – even more so now than when I first wrote. If you’d like to know more, you could check out my blog post on the subject which has a number of links for more info. Thanks so much! Keep it up all the hard work! Well all appreciate it! We really do! Glimpses into my former life … we studied this in my structural geology course back in my college days. Studied it again in my sedimentology course as well. I was tossed out of both those lectures for relentlessly arguing. Needing the course to graduate, however I had to at least apologize for my behaviour. It was rather disturbing. This practice was billed to a bunch of budding geologist as a great resource that will one day save the planet! … OK I exaggerate, but only a bit. … Thanks for posting!